In response to emerging digital currencies such as Bitcoin, states have started to consider changes in state statutory language impacting cryptocurrency or digital currency transmission and its placement within “stored value” or “money transmission” statutory definitions. 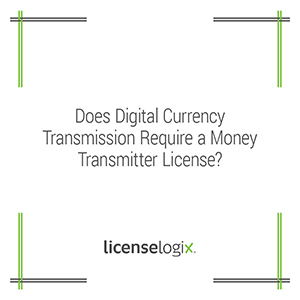 Many states are moving towards the inclusion of this form of currency within money transmission license requirements. LicenseLogix tracks licensing changes within the money services industry. We assist our money transmitter clients with license compliance by providing customized research to identify whether their transactional activities fall under the parameters of state level money transmission licensing regimes. Call us for a free quote to see how we can assist with your money services business licensing needs.